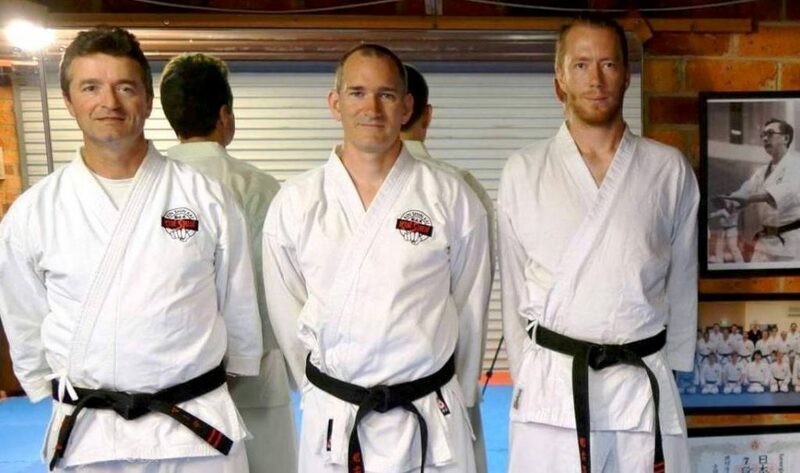 Sensei’s Nick Bell, Michael Mules and Mate Lezaja are the three leading seniors of Kin Shin Kai. They make a fabulous instructing and innovating team now and for the future. Sensei Mate Lezaja is totally imbued with maintaining the wonderful values and respectful ethos of traditional Karate whilst also embracing modern technical improvements. He has a fierce passion for traditional Kobudo (weaponry) and is a sensei of Kobudo in the Akamine tradition. Sensei Nick Bell has his passions split between Goju karate / martial arts and tennis and is a highly competent and qualified instructor in both fields. Nick is currently completing his Sports Science degree. He has experience in a number of other martial arts ranging from Shaolin kung fu to BJJ and MMA. He is also a passionate innovator of teaching methods and has a dynamic, motivating and engaging teaching style. Sensei Michael Mules is a renaissance man who embraces a diverse range of interests and competencies and is not scared to take on more. For example he has, without any prior proficiency in the Japanese language, undertaken a translation of the late Ohtsuka sensei’s seminal master work ‘Karate Do Kyohan’ and is doing an amazing job. He has a length and breadth of experience in numerous martial arts including other traditional martial arts like Shotokan karate, Ninjutsu and Yoshinkan Aikido.